The Lean to is a simple and affordable way to add extra living space to a home and adding extra light and functionality to any property. Our modular DIY Lean to conservatory kits are very easy to fit with K2's patented Konnect system. 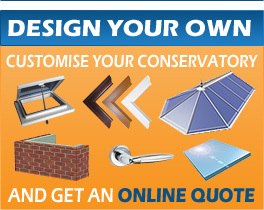 It couldn't be simpler to add a DIY Lean to to your home so why not get a quote today and see how much you can save with Self Build Conservatories UK?